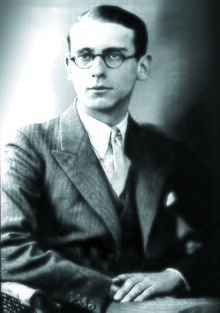 Patrick Hamilton (17 March 1904 – 23 September 1962) was an English playwright and novelist. He was well regarded by Graham Greene and J. B. Priestley and study of his novels has been revived because of their distinctive style, deploying a Dickensian narrative voice to convey aspects of inter-war London street culture. They display a strong sympathy for the poor, as well as an acerbic black humour. Doris Lessing wrote in The Times in 1968: "Hamilton was a marvellous novelist who's grossly neglected". 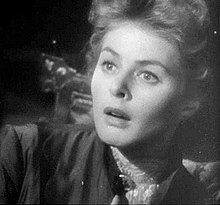 His two most successful plays, Rope, and Gas Light were made into famous films: Alfred Hitchcock's Rope (1948) and the British-made Gaslight, followed by the 1944 American version. The term "gaslighting", for a form of psychological abuse, comes from the latter. He was born Anthony Walter Patrick Hamilton in the Sussex village of Hassocks, near Brighton, to writer parents. Due to his father's alcoholism and financial ineptitude, the family spent much of Hamilton's childhood living in boarding houses in Chiswick and Hove. His education was patchy, and ended just after his fifteenth birthday when his mother withdrew him from Westminster School. His first published work was a poem, "Heaven", in the Poetry Review in 1919. After a brief career as an actor, he became a novelist in his early twenties with the publication of Monday Morning (1925), written when he was nineteen. Craven House (1926) and Twopence Coloured (1928) followed, but his first real success was the play Rope (1929, known as Rope's End in America). The Midnight Bell (1929) is based upon Hamilton's falling in love with a prostitute and was later published along with The Siege of Pleasure (1932) and The Plains of Cement (1934) as the semi-autobiographical trilogy Twenty Thousand Streets Under the Sky (1935). Hamilton disliked many aspects of modern life. He was disfigured badly when he was run over by a car in the late 1920s: the end of his novel Mr Stimpson and Mr Gorse (1953), with its vision of England smothered in metal beetles, reflects his loathing of the motor car. However, despite some distaste for the culture in which he operated, he was a popular contributor to it. His two most successful plays, Rope and Gas Light (1938, known as Angel Street in the USA), made Hamilton wealthy and were also successful as films: the British-made Gaslight (1940), the 1944 American adaptation of Gaslight, and Alfred Hitchcock's Rope (1948). Hangover Square (1941) is often judged his most accomplished work and still sells well in paperback, and is regarded by contemporary authors such as Iain Sinclair and Peter Ackroyd as an important part of the tradition of London novels. Set in Earls Court where Hamilton himself lived, it deals with both alcohol-drinking practices of the time and the underlying political context, such as the rise of fascism and responses to it. Hamilton became an avowed Marxist, though not a publicly declared member of the Communist Party. During the 1930s, like many other authors, Hamilton grew increasingly angry with capitalism and believed that the violence and fascism of Europe during the period indicated that capitalism was reaching its end. This encouraged his Marxism and his novel Impromptu in Moribundia (1939) was a satirical attack on capitalist culture. During his later life, Hamilton developed in his writing a misanthropic authorial voice which became more disillusioned, cynical and bleak as time passed. The Slaves of Solitude (1947) was his only work to deal directly with the Second World War and he preferred to look back to the pre-war years. His Gorse Trilogy – three novels about a devious sexual predator and conman – are not generally well thought of critically, although Graham Greene said that the first was 'the best book written about Brighton' and the second (Mr. Stimpson and Mr. Gorse) is regarded increasingly as a comic masterpiece. The hostility and negativity of the novels is also attributed to Hamilton's disenchantment with the utopianism of Marxism and depression. The trilogy comprises: The West Pier (1952); Mr. Stimpson and Mr. Gorse (1953), dramatized as The Charmer in 1987; and in 1955 Hamilton's last published work, Unknown Assailant, a short novel much of which was dictated while Hamilton was drunk. The Gorse Trilogy was first published in a single volume in 1992. Hamilton had begun to consume alcohol excessively while still a relatively young man. After a declining career and melancholia, he died in 1962 of cirrhosis of the liver and kidney failure, in Sheringham, Norfolk. He was married twice, firstly to Lois Marie Martin in 1930, and a year after divorcing Lois, to Lady Ursula Chetwynd-Talbot in 1954. A small collection of Hamilton's manuscripts and correspondence can be found at the Harry Ransom Center at the University of Texas at Austin. Hamilton was the subject of a special season of films in March 2005 at the National Film Theatre in London, and continuing the strong revival of interest in his work the British TV channel BBC Two screened an adaptation of 20,000 Streets Under the Sky in September 2005, reshown on BBC Four in January 2006, alongside a documentary account of his life. The adaptation was released on DVD in 2007. A one-man show about Hamilton's life appeared in the Edinburgh Festival in 2014 and the Brighton Fringe Festival in 2015 and in London, written and performed by Mark Farrelly and called The Silence of Snow: the Life of Patrick Hamilton. ^ Harding, John (2007). Patrick Hamilton. Greenwich Exchange. p. 66. ISBN 9781871551990. Retrieved 23 December 2012. ^ "Patrick Hamilton: An Inventory of His Collection at the Harry Ransom Humanities Research Center". Lib.utexas.edu. Retrieved 16 January 2012. Wikimedia Commons has media related to Patrick Hamilton (writer). "The lost worlds of Patrick Hamilton": D. J. Taylor's introduction to the Gorse Trilogy from TLS, 16 May 2007.